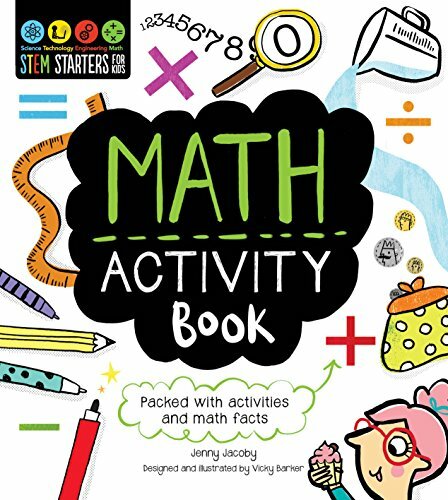 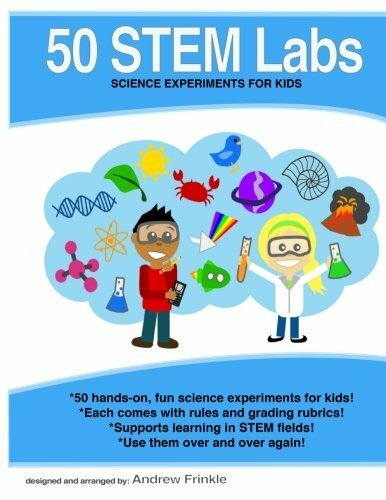 One of my biggest passions is bringing “boring” subjects like science and math to life for kids. 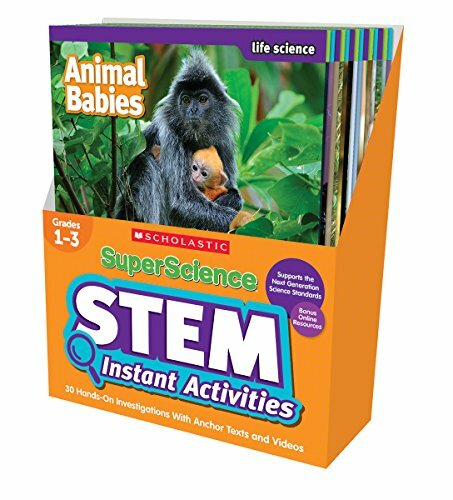 When I was a child, I HATED those subjects and would have rather written 1000 papers over doing one science project. 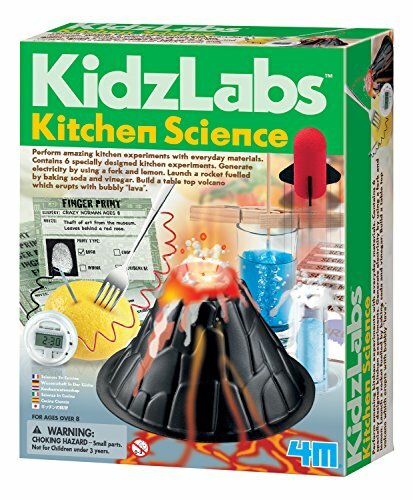 But when my daughter was born, she was really into science. 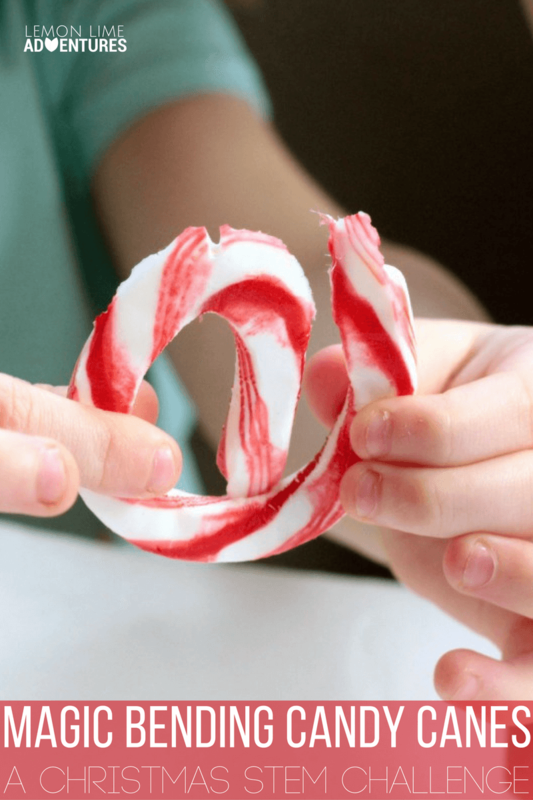 She didn’t get that from me. 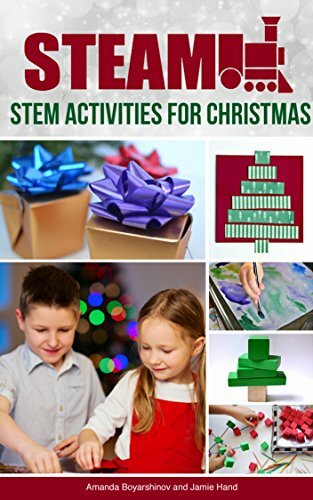 But through her, I realized that STEM activities can be fun. 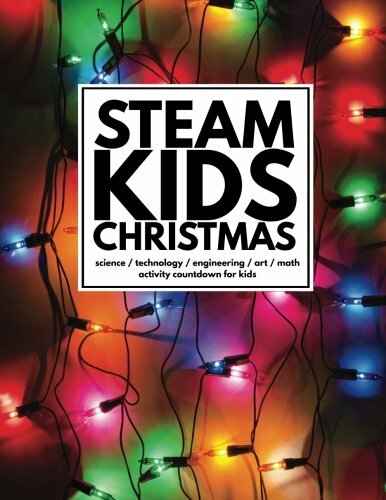 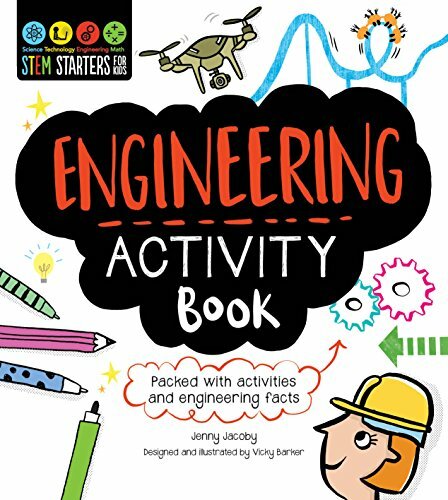 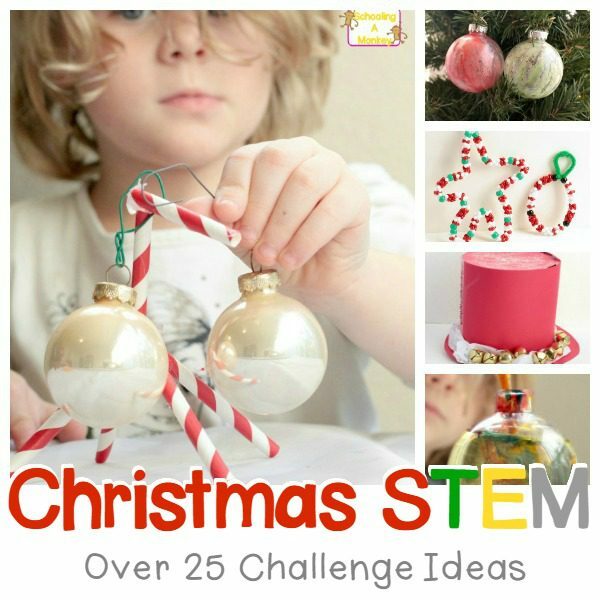 Now for every holiday, we complete different STEM challenges and science experiments that fit that holiday and theme and have amassed over 25 Christmas STEM activities to try. 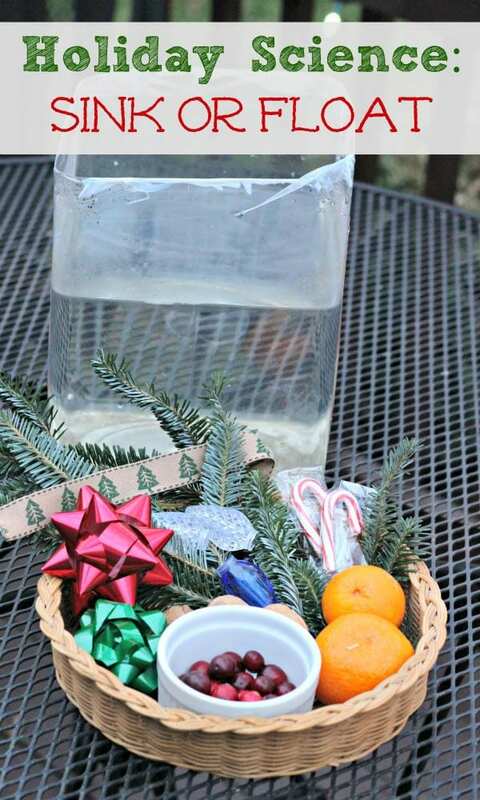 Today, I’ve gathered some of my favorite Christmas science experiments that you can do in the classroom or at home with the little science lovers in your house. 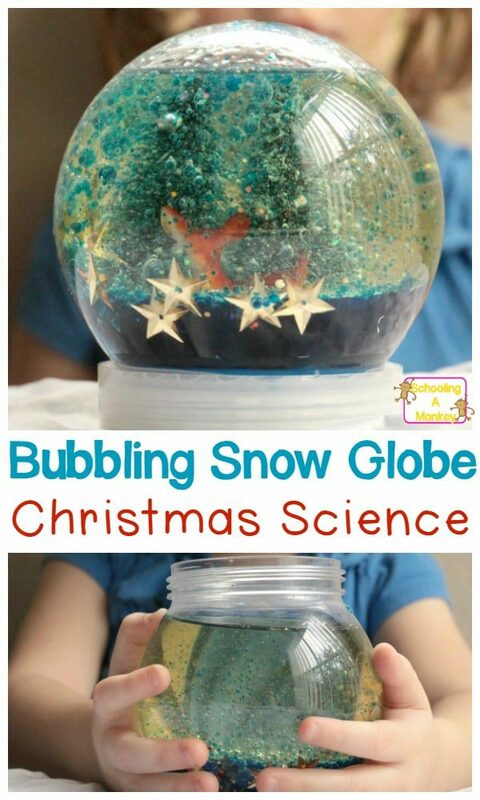 And I don’t believe there is a child who doesn’t like science. 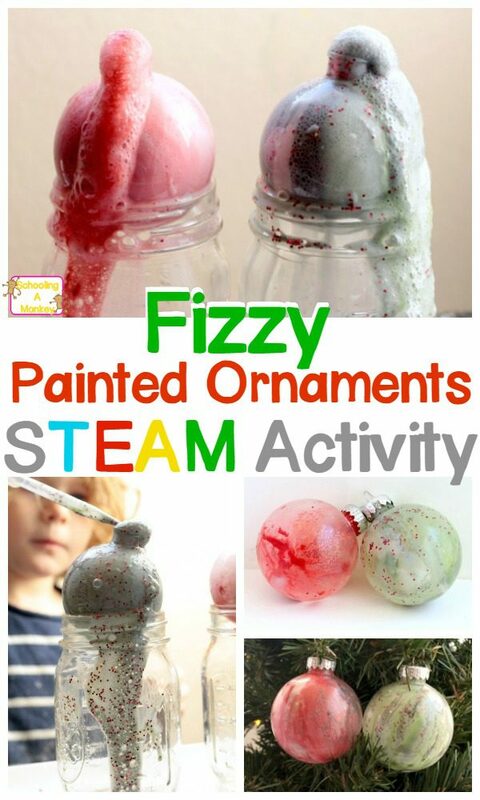 She just hasn’t found the right science experiment yet! 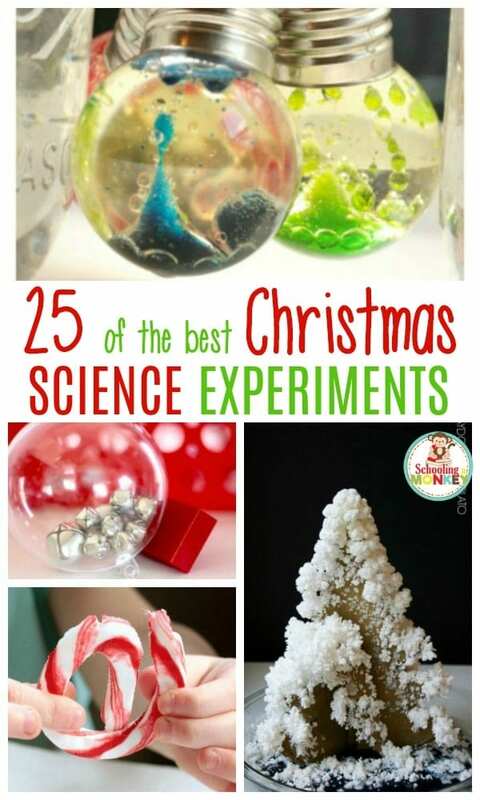 We’ve done a lot of Christmas science experiments, but we’re not the only family who loves science! 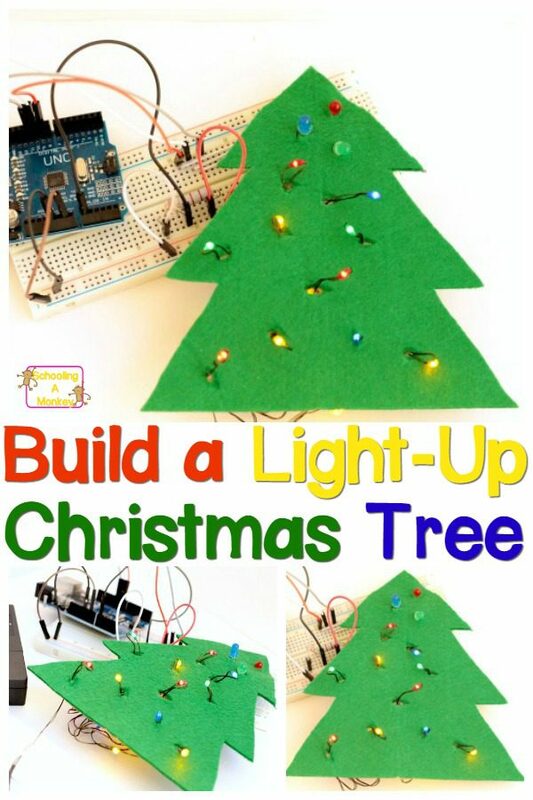 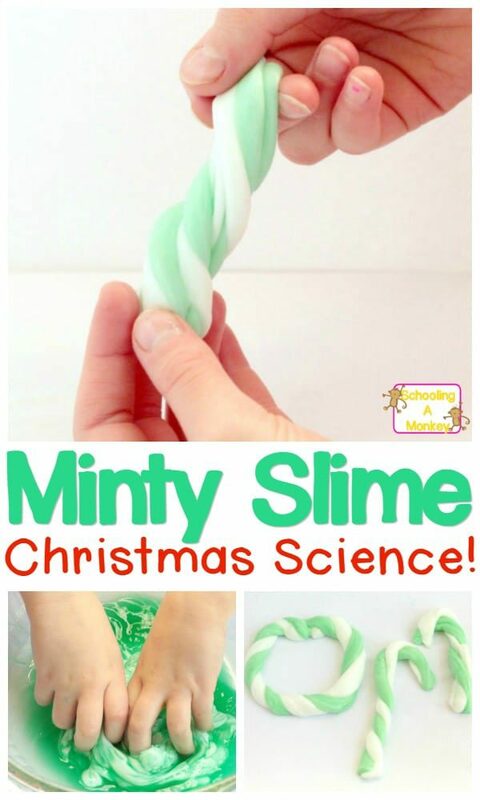 Some of the Christmas science projects in this list come from other amazing science blogs. 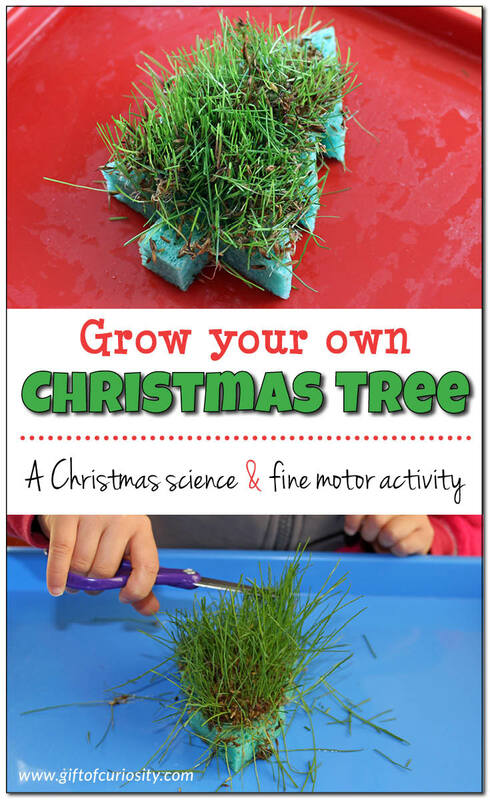 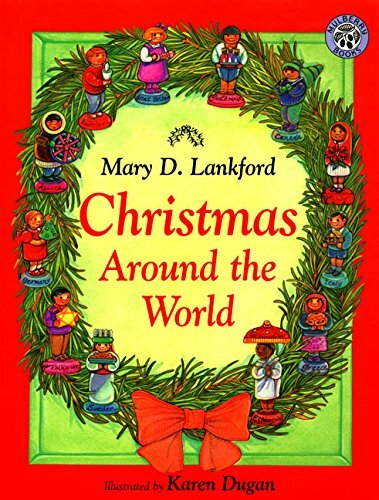 Why do Christmas science activities? 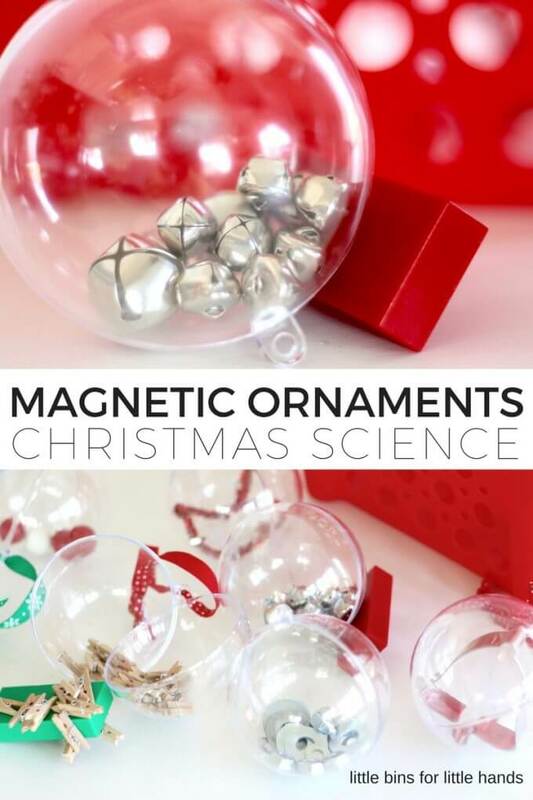 Christmas science is both for kids who already have a love of science and for those who don’t realize they love science experiments quite yet. 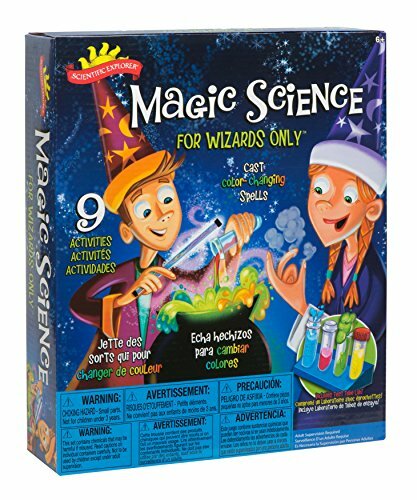 Science isn’t just a list of facts in a textbook, but something that actually has a lot of creativity and innovation hidden inside it. 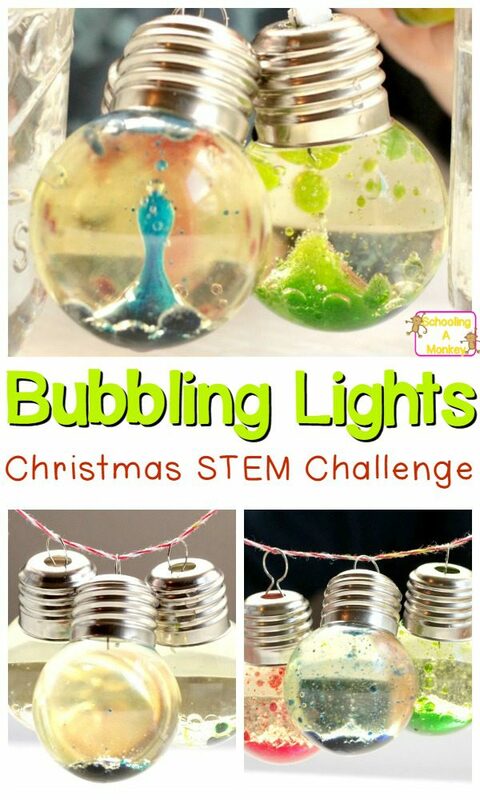 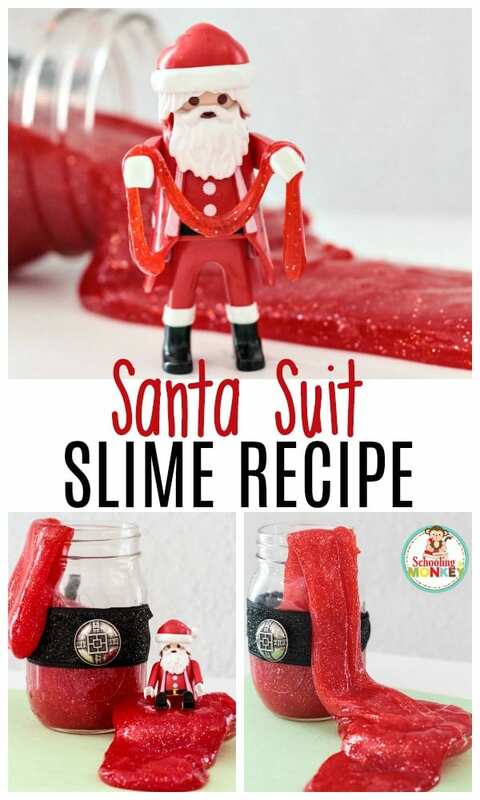 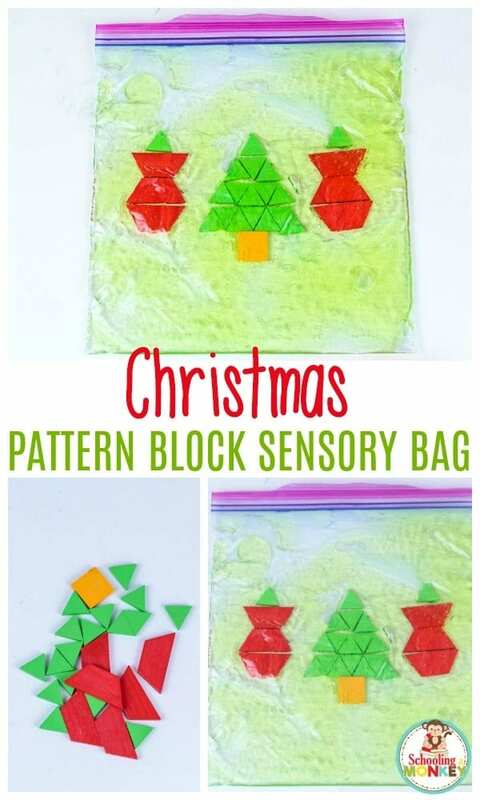 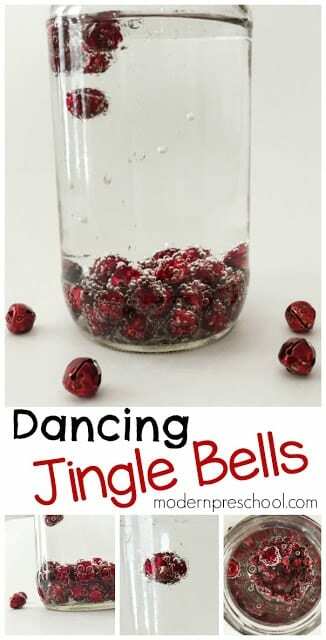 When you do these fun and simple Christmas science experiments with kids, they quickly learn that science can not only be enjoyable, but that it is one of their favorite subjects in school. 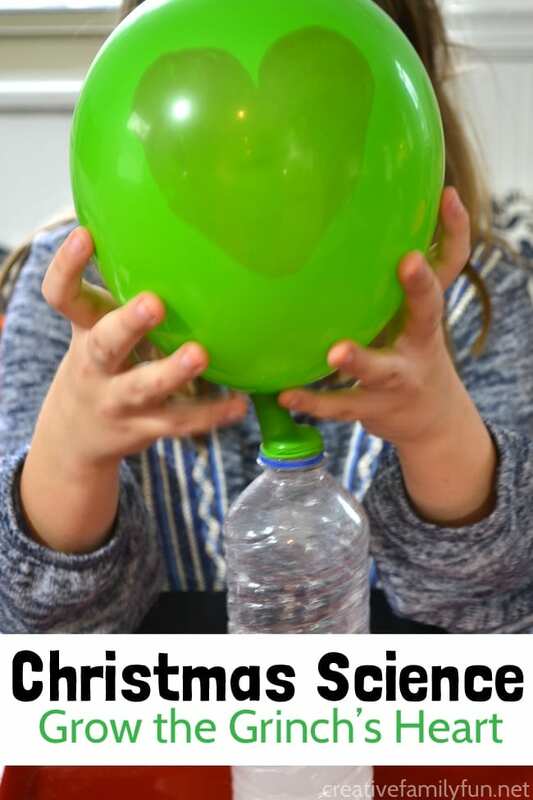 And the more kids who are interested in science in the early years the more kids will choose science-related careers, which is a wonderful career path to follow. 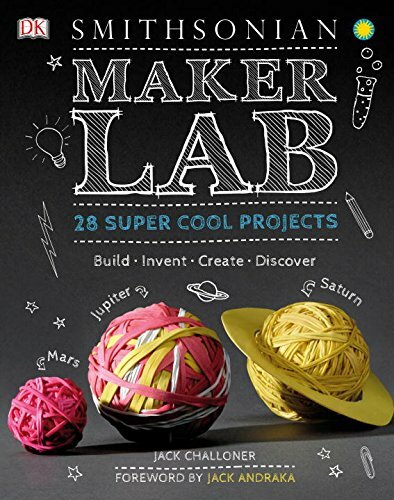 The world needs more innovators, scientists, and creative people who aren’t afraid to fail. 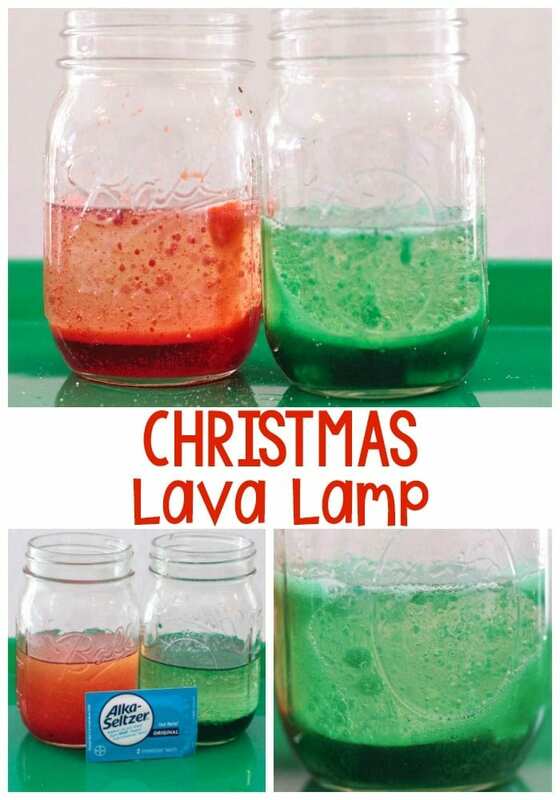 And it can all start with a simple Christmas science activity. 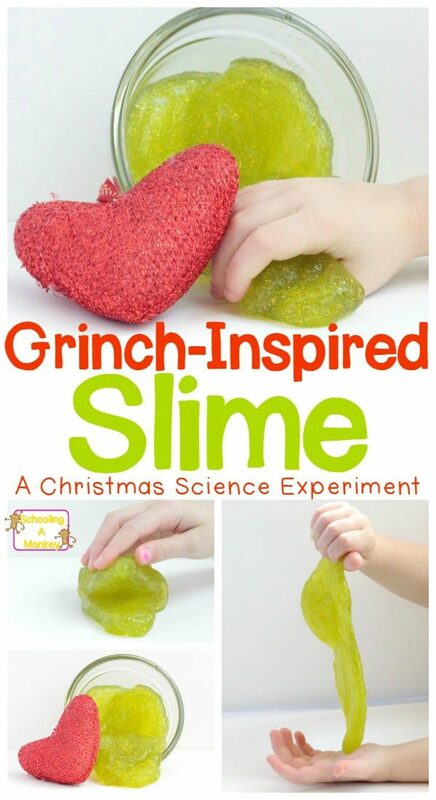 DON’T MISS: SCIENCE PROJECTS KIDS WILL LOVE! 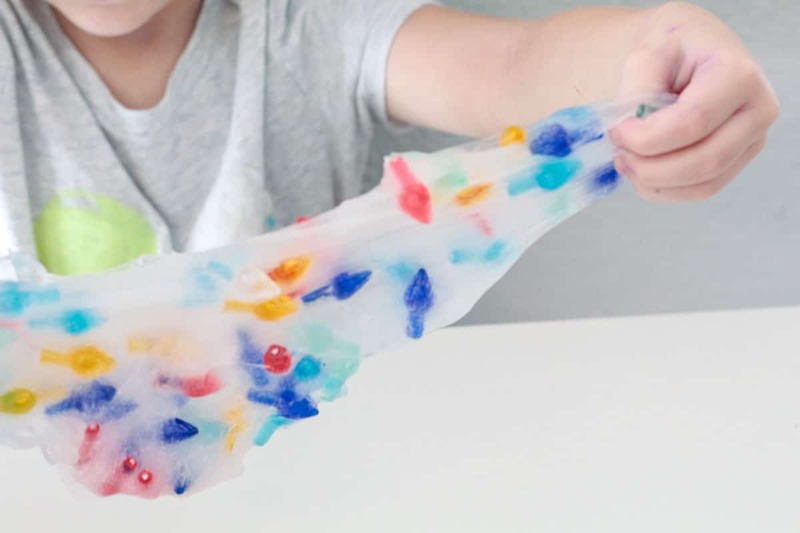 The best thing to stress for kids when completing a science experiment is that there isn’t a “right” answer. 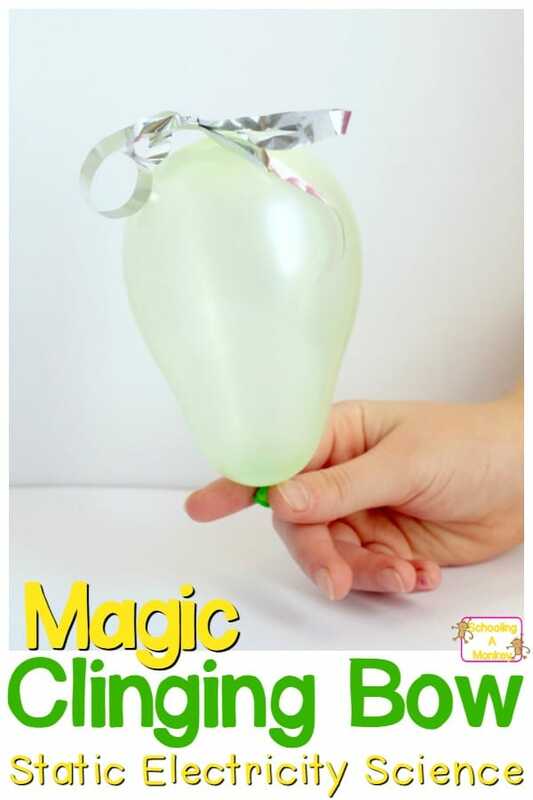 Science is all about proposing, trying, and testing an idea. 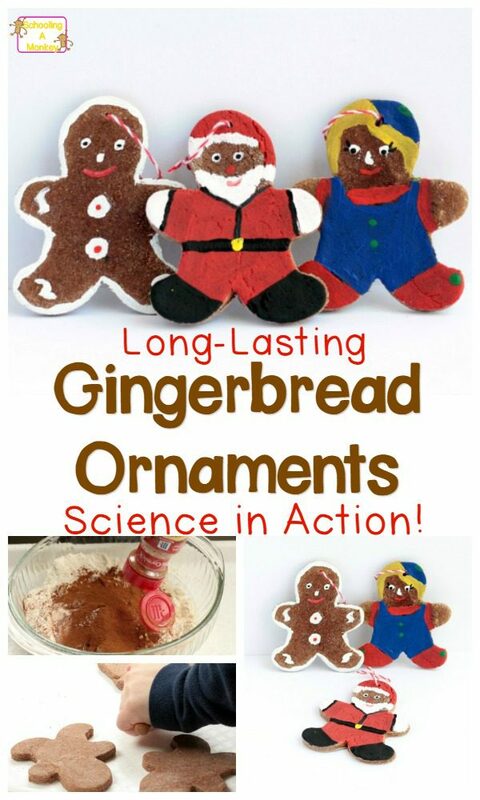 Recording results and trying again with a new twist are also key elements of any science activity. 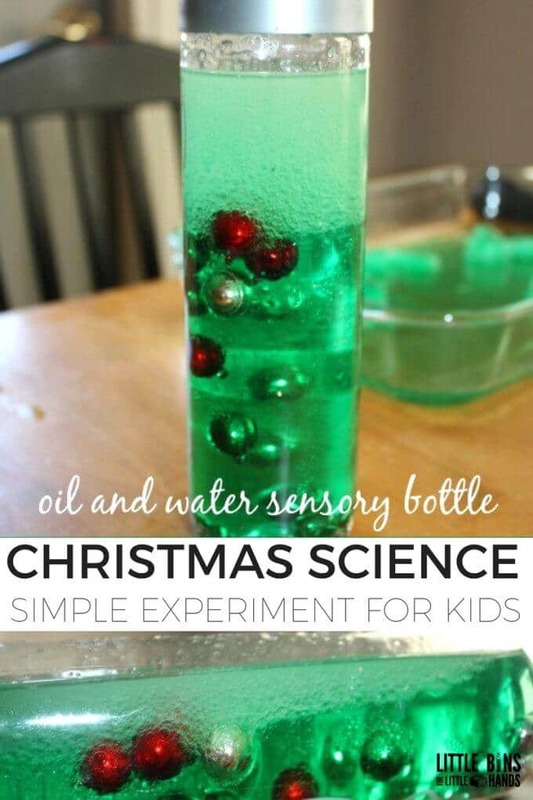 It’s helpful when completing Christmas science projects to keep a journal of the different experiments and how they turned out. 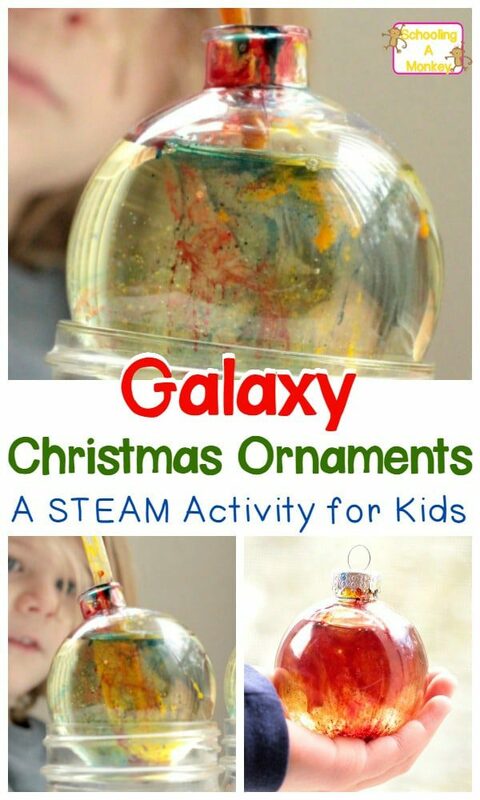 This will likely spark a whole list of new questions for kids and they will want to try all sorts of fun science activities. 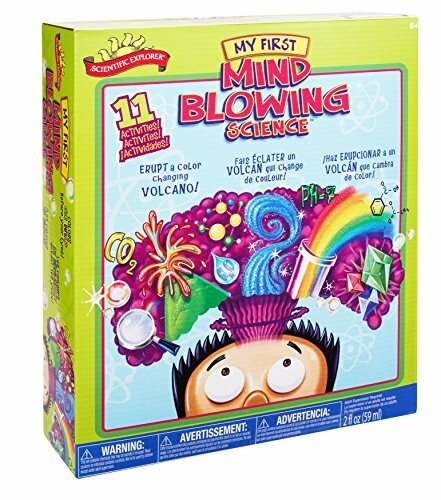 This is where children determine what they think might happen. 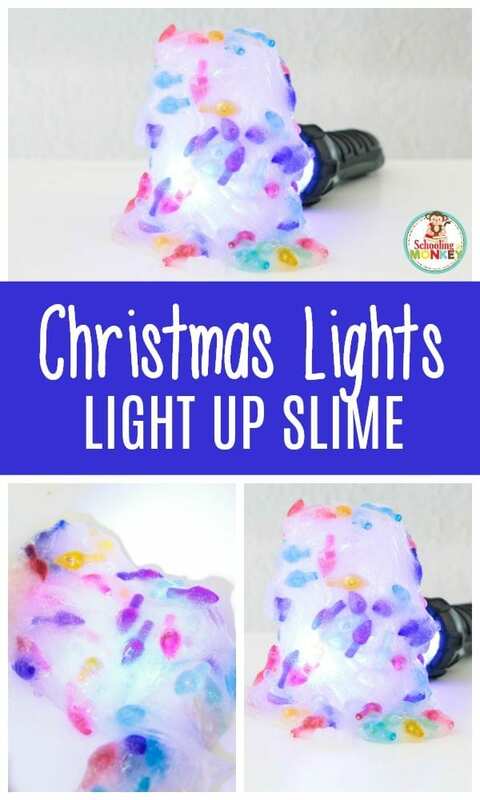 The fun part is testing out the ideas! 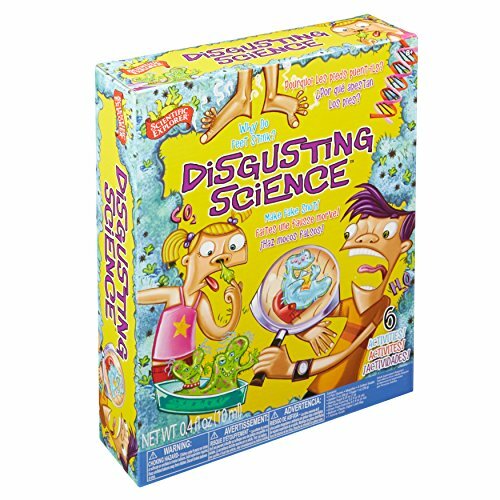 Data mining and recording results is an important part of any science experiment. 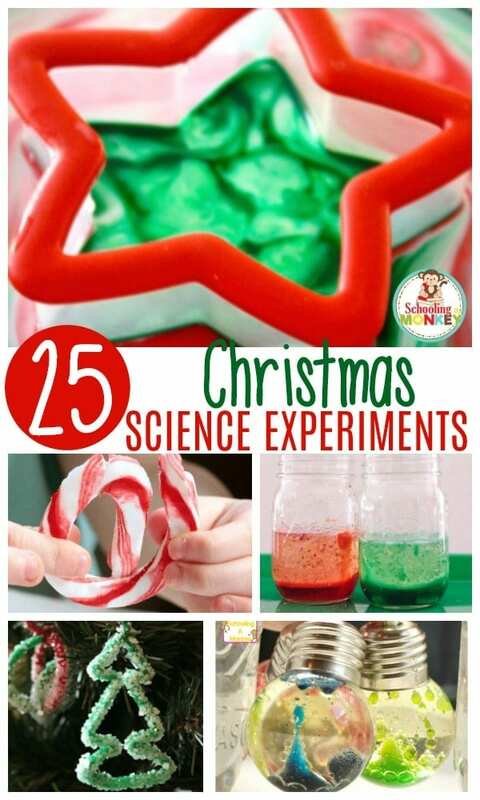 Try something different and test again! 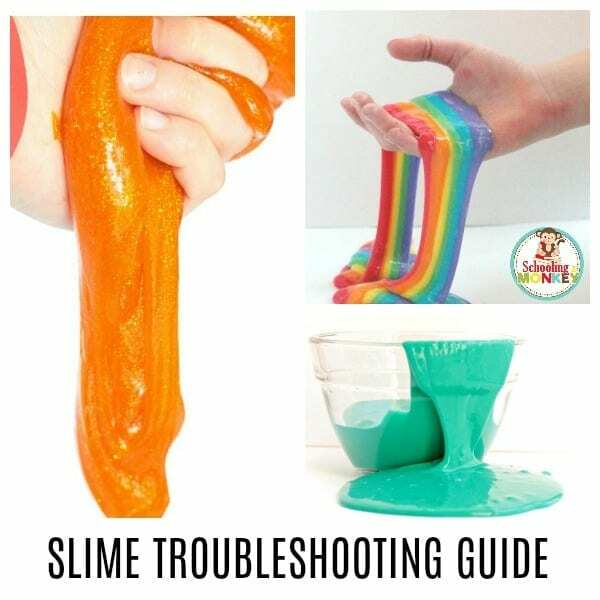 What happened? 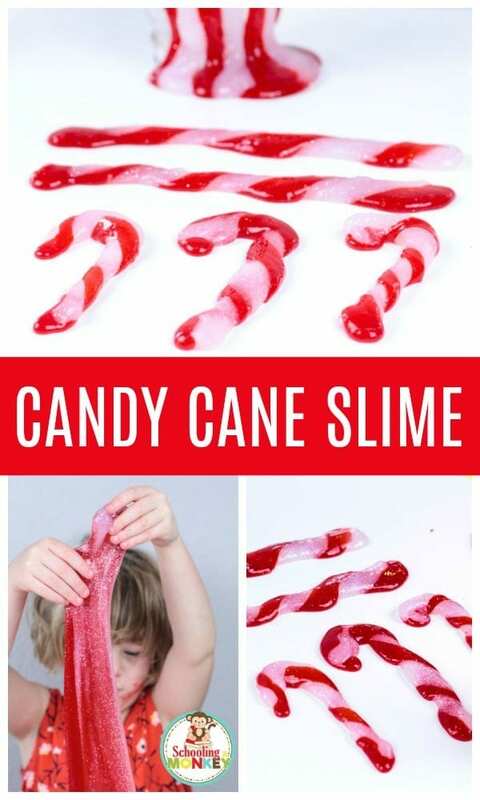 Was it what the kids expected? 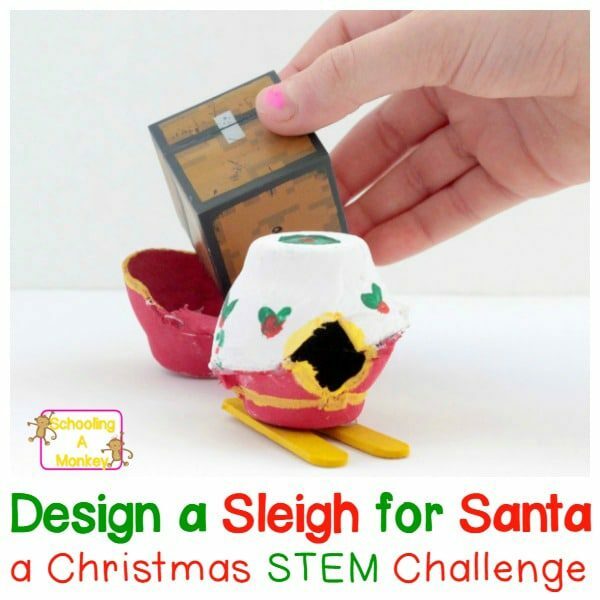 CLICK HERE FOR THE CHRISTMAS CHALLENGE CALENDAR! 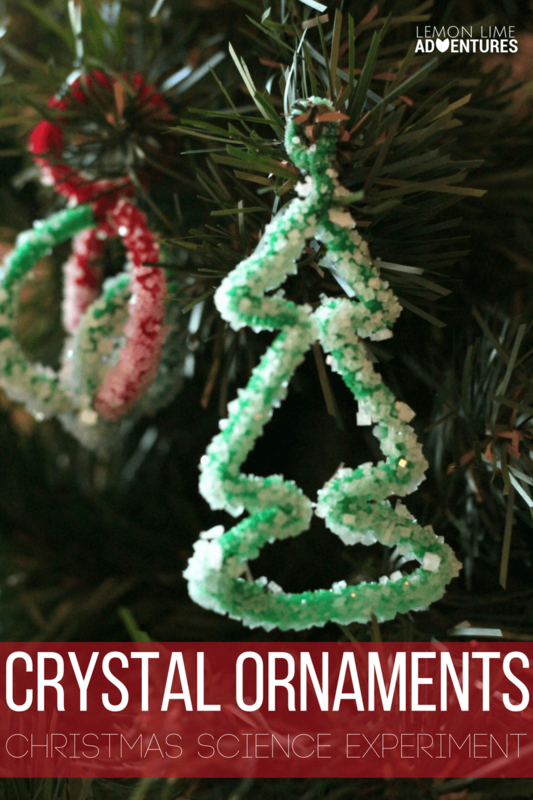 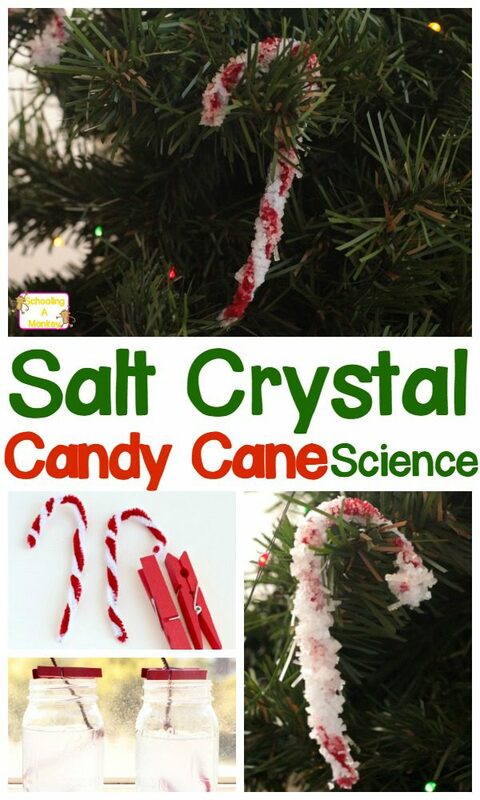 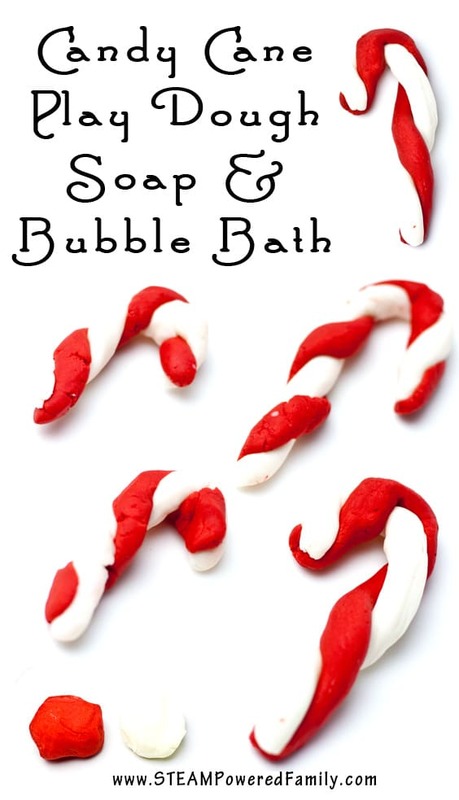 For even more Christmas science fun, try making binary name ornaments and the dissolving candy cane experiment! 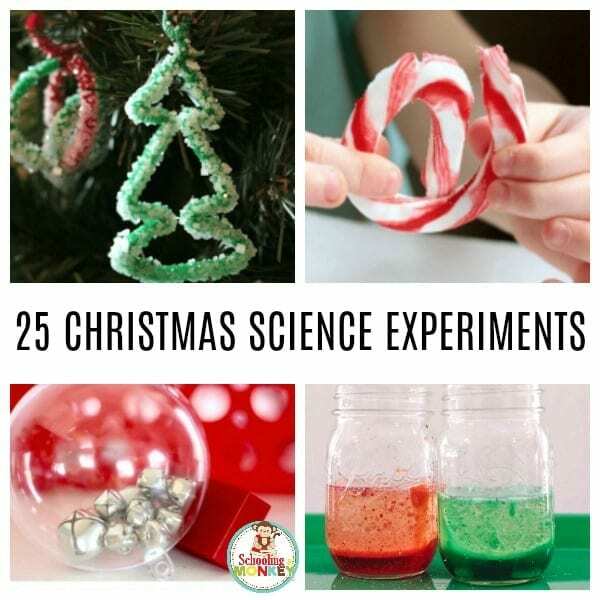 Read on to find out all of the amazing Christmas science experiments you can try in the classroom or at home during winter break! 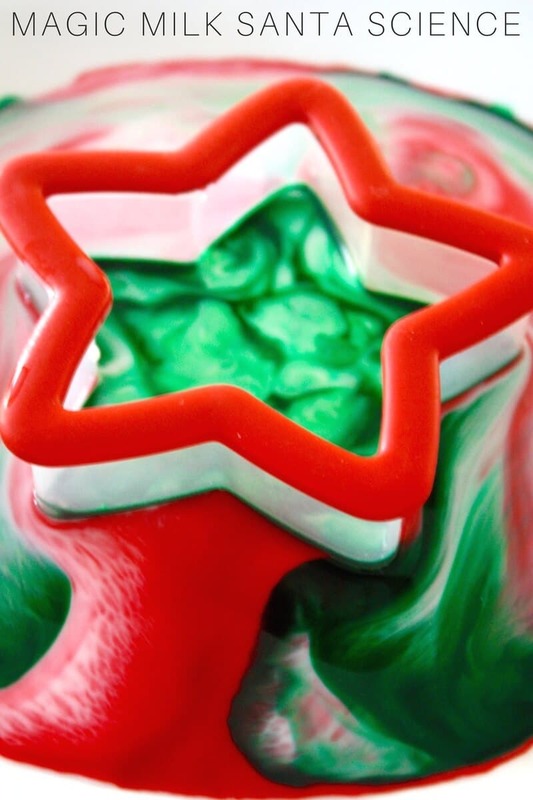 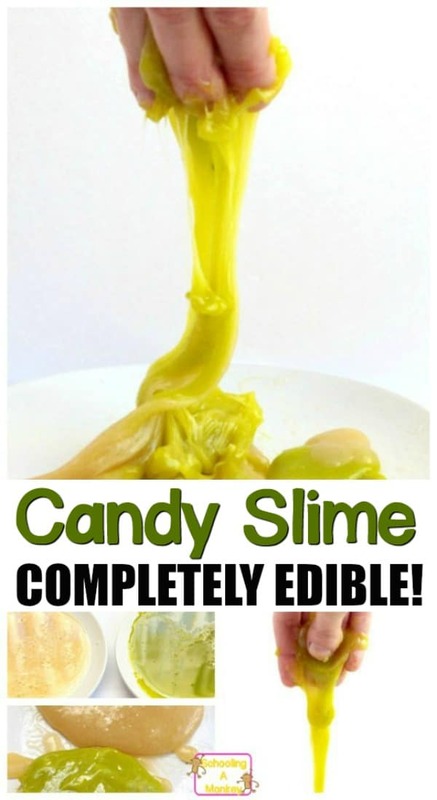 DON’T MISS: Edible Taffy Slime! 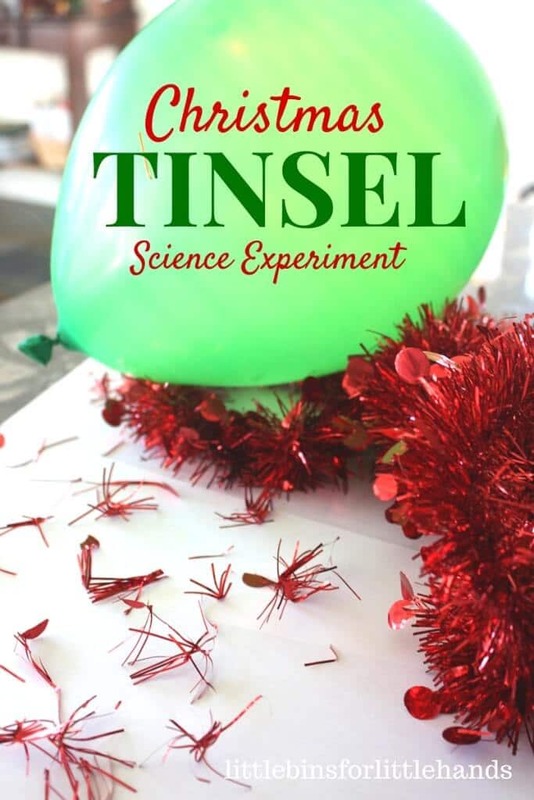 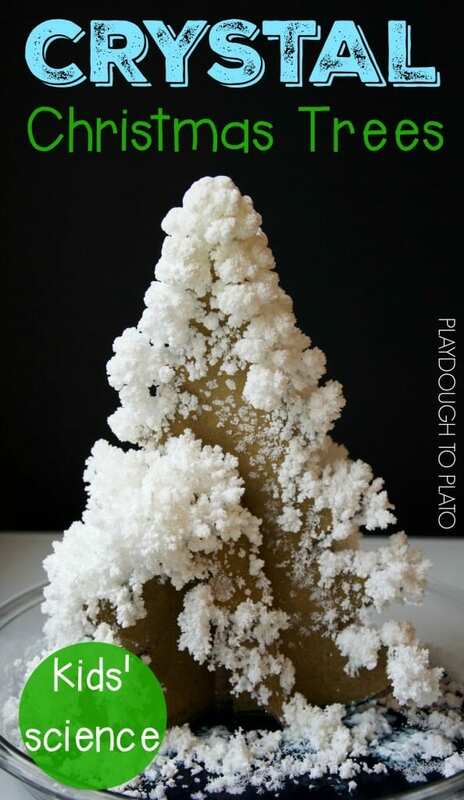 Try these Christmas science experiments to make science class just as festive as a Christmas tree!